Ejji Ramen gives its customers a taste of homemade Malaysian traditions – with a twist. Chef Ten draws inspiration from flavors native to his hometown in Malaysia when concocting Ejji creations. Some of his favorite meals include Laksa Ramen and Roast Beef, because the dishes serve up Malaysian nostalgia with every bite. 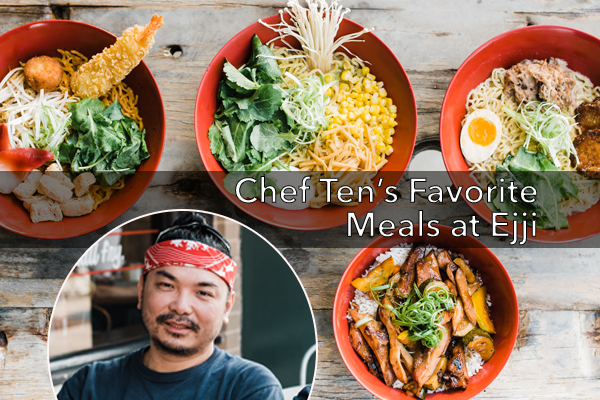 Knowing that he wanted to offer a Laksa Malaysian broth at Ejji, Chef Ten substituted rice noodles, the traditional noodle for the dish, with ramen and successfully put his own spin on his favorite meal from home. 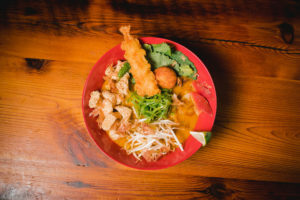 In addition to the Laksa Surfy bowl, Chef Ten has lots of favorite ramen bowls and Malaysian inspired creations. That’s why Ejji rotates their in-house specials, maintaining a continuously varied menu. Though not against adding various flagship dishes in the future, Chef Ten is happy using his rotating specials to keep it fresh for the loyal customers that come by regularly. 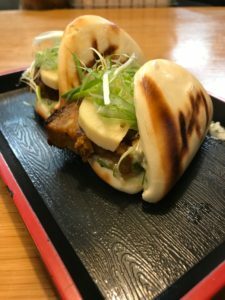 Speaking of keeping things fresh, staying on top of industry trends is an important component to the creation of some of Chef Ten’s favorite meals. Ejji Ramen dishes can be made into gluten-free options with a simple request. 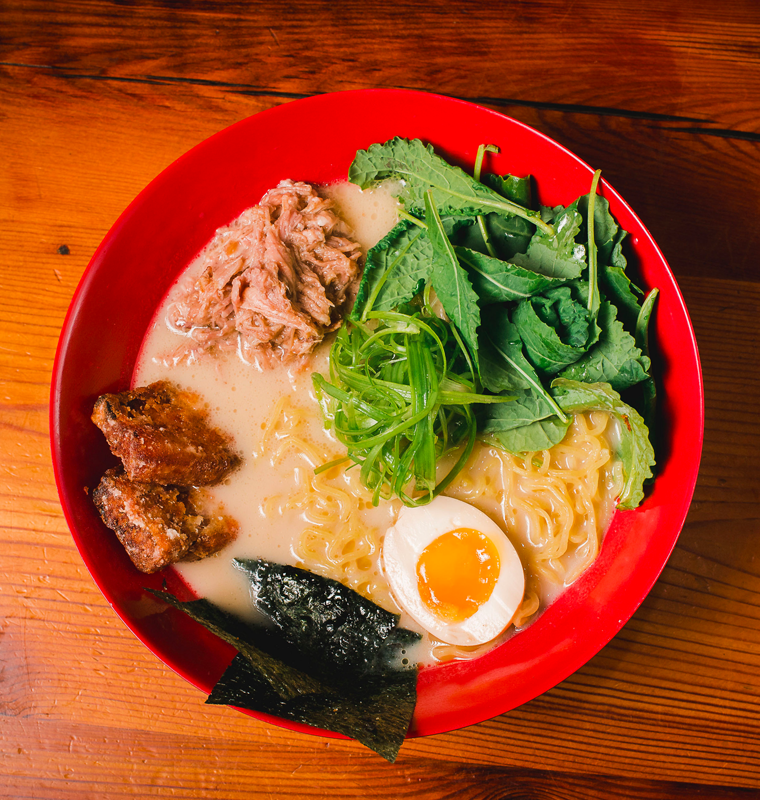 Although all broths used for Ejji ramen bowls are already gluten-free, customers have the option of substituting ramen noodles with rice or veggie noodles. 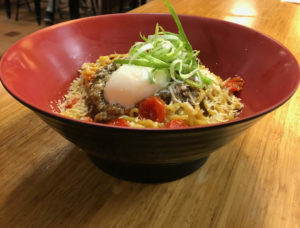 If you’re on a quest to find your own favorite Ejji Meal and have never been to Ejji Ramen, or have never tried ramen at all, Chef Ten recommends Kung Pow Soup as a good first ramen bowl. It’s a very traditional ramen bowl that gives people a point of reference for comparison with other bowls offered at Ejji.